Pros On Call is your best choice for complete locksmith services. We handle needs for well known corporate retailers as well as for residential clients and drivers and we have a local team of 24-hour locksmiths in Miami. At Pros On Call, we provide upfront pricing for all of our services. Each of our technicians has five or more years of experience in the industry. Our team of licensed, bonded, and insured experts are equipped to handle everything from changing and repairing locks to providing emergency locksmith services for all types of high-tech systems. We have a reputation for being readily available and very knowledgeable. When you need a local locksmith, we have 24-hour locksmiths in Miami that arrive at your location in 30 minutes or less! Enjoy Fast Service, Upfront Prices, Honest Advice, And More! Read on for a thorough description of our many expert services. Emergency situations are stressful and unplanned so the Pros On Call team is available round the clock. When you need emergency locksmith assistance, a Pros On Call technician can be there within thirty minutes or less. Our professionals are licensed, bonded, insured, and travel in mobile units that are fully equipped for all locksmith needs. We offer fast and friendly assistance with car, office, and home lockouts. We also offer swift post burglary assistance and can efficiently rekey doors or add additional locks to the home. And if you need emergency repairs to commercial lock systems or car key replacements in the middle of the night, we’ve got you covered. Need car key replacements at the Miami International Airport? Our competent and reliable team of technicians is also available to provide automotive locksmith assistance. It is unsettling to lose vehicle keys or to lock them in the vehicle or trunk, but our team members work fast and efficiently to quickly alleviate the problem. We can promptly provide key replacements as well as provide ignition cylinder repairs. Our professionals understand how upsetting and frustrating it is when a vehicle will not start properly and we can quickly assess what issues need to be addressed. We understand the sensitive nature of commercial information and the need to have adequate safeguards in place. We offer commercial clients everything from singular repair services to comprehensive system installations. Our myriad of commercial locksmith services includes installing and repairing panic bars, magnetic door locks, door closer services, access control systems, and a whole lot more. We work to reduce vulnerability and increase security at all times and always use trusted top quality locks and products such as Rosslare, Linear, and Bosch Security Systems. We offer complete residential locksmith services in Miami to both renters and homeowners. We quickly arrive and address issues related to home lockouts and are also available to install peepholes and extract broken keys. Our trained technicians are skilled and experienced in repairing burglary damage and our mobile professionals always respond quickly and immediately begin proving dependable security services. Don’t hesitate to contact Pros On Call. We offer an extensive array of lock services. Whether you wish to incorporate high-security grade 1 locks or require rekeying services, we are up for the job. We are the best choice for handling commercial and residential security upgrades and in providing security maintenance services. 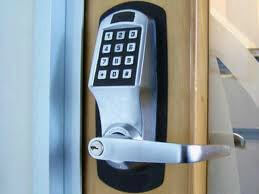 It is vital for security products to be installed properly and repaired by professionals. We even install, maintain, and repair biometric locks and are skilled and up to date on all aspects of advanced state of the art security tools and products such as mortise locks, deadbolts, keyless entry systems, and so on. Don’t attempt to extract a key or your own or delay in dealing with an ignition issue. Sophisticated locks and their care are best left to trained professionals. Attempting to conduct repairs on your own can inadvertently result in causing more extensive and expensive damage. We provide punctual assistance and protect your safety. Be sure to immediately contact us to restore safety after any burglary damage and do not attempt to go back inside the dwelling or allow time to pass and vulnerability to continue by living with damaged or broken locks in a state of disrepair. 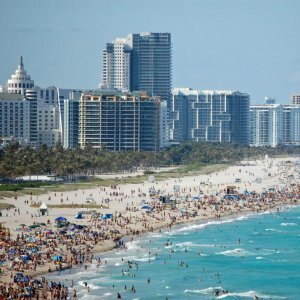 Miami is a wonderful place to visit or to live in, but like anywhere, crime exists. Security is our prime focus and we are available at all hours day and night to best serve our customers. When you need a mobile locksmith to address your needs, contact Pros On Call. 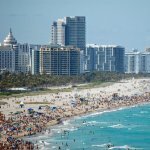 24-Hour Locksmiths In Miami https://prosoncall.com/florida-locksmith/miami/ 4.1/5 based upon 9 reviews.